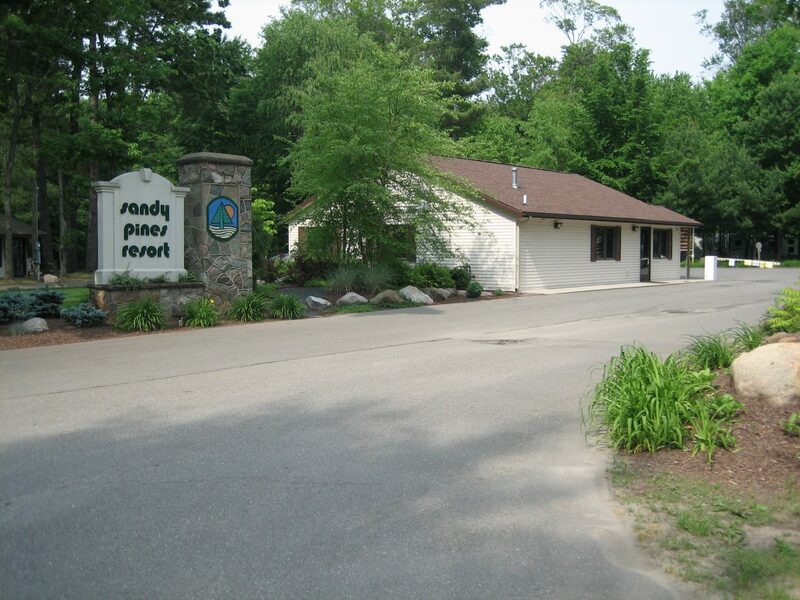 Over the years, Sandy Pines has become a very popular place to spend time with family and friends. What started out as place for member/owner and immediate family to enjoy camping and recreational activities now includes grandchildren, grandparents, in-laws, significant others and associate members who meet the requirement of the rules. In the 1980’s there were a couple of thousand card holders, whereas today, there are about 12,000. Over the years there have been many questions as to whether associate members can bring guests into the park. This question has been presented to Board of Director members on many occasions. During last year’s annual election this again became an issue. Therefore, during the off season a sub-committee of the Board of Directors was created to examine the issue. The sub-committee consisted of Kelly Johnson, Chair, Brian Elling and Ellen Carpenter. By the end of February, they completed their study with a recommendation to the Board of Directors, which was accepted and approved by the Board at their March 18, 2019, meeting. What follows is an excellent summary of their work written by Ellen Carpenter; “Acting on concerns voiced by members to candidates for Board of Directors in 2018, several BOD members met with Keith Garvelink and Steve Deyarmond to discuss entry procedures for guests and whether associates should be allowed to sign in guests. Keith and Steve provided more detailed information and history regarding the procedures now in place. Over the years, the rules have been adjusted to make the park more family friendly. It was pointed out that originally the adult children of members did not have the access that they now have. Rules were changed and adult children could have access with a magnetic card and the member(s) did not have to be present during their visit. With that in mind, it’s important to remember that the privilege of registering guests belongs to the member, not to the associate. The Member/Owner serves as the person(s) to watch over, be responsible for and to invite persons as guests that have sound moral character and are trusted. The member is also financially responsible for any misconduct by either an associate or a guest. The member has a financial investment in their membership and in personal property at Sandy Pines. The Park’s intention was to have someone be responsible for, and oversee the conduct of the person invited, which is why the member is to be present during the guests visit. Not only is there a concern regarding conduct of guests, but there is also a concern about the impact on overcrowding of facilities if guest privileges are further extended. The resources of the Park are already stretched during busy holiday weekends. The Park has experienced stress upon our infrastructure.Water pressure has been an issue of the past, electric usage, and septic systems are also issues. Steve Deyarmond wrote a comprehensive history for the committee, concerning the entry of guests and its impact on administration and the park. You can read Steve’s report by going to our Sandy Pines web site. The staff worked hard over the winter making repairs and enhancing the park in preparation for our return, which you can read about in this Footprints. Welcome back for another great season at Sandy Pines. Guest Entry – To enter the Park a guest name must be registered by a member/owner of a membership. The Member must purchase the guest pass indicating the guest name, date of arrival, and departure date. Or, the guest may enter as a passenger in the member’s vehicle without registering. The member must be present during the guests stay within the park. The member agrees to be responsible for the conduct of their guest and is responsible for any damages, injuries, violations or fines. Guests are required to abide by all Park rules. The Park President or Director of Security may refuse admittance or eject any guest whose conduct has been, or is, objectionable. Entry procedures have been reviewed since the start of the Park. In December of 1972, a committee was already requiring members to be present during their visit and be financially accountable for their guests and any damages caused by guests. Concerns of counterfeit membership cards were already being discussed. In the early days the Park was intended to be for the enjoyment of the Member and their immediate family (children under 18 yrs. of age living in the household). The membership on a campsite has expanded over the years to include older children, their children, parents, in-laws, grandchildren, grandparents and a designated associate, if applicable to the rules. We have joint memberships with two sets of families utilizing the Park. Park usage has increased as the Park has permitted more people access. The Park rules pertaining to guests have changed a little over the past 47 years. A December, 1974, article makes comment to “Sandy Pines internal problems arise largely from growth factors primarily because of visitors and new members who are unaware of the rules.” Presently we still hear comments of a lack of understanding or confusion of Park rules. In May of 1980 an article refers to a problem of members letting friends, relatives utilize their membership card. Presently the same problem occurs, but instead of having a couple thousand card holders (1980’s), we have about twelve thousand card holders. The rules have slowly changed and expanded to permit more people into the Park. Access has extended from the immediate family of husband, wife and children living within the household to husband, spouse/individuals and significant others/joint memberships to Associate members outside the home, Grandchildren, older grandchildren, grandparents, or anyone as a designated Associate, provided the rule is met. At a point in time (early years of the Park) one person was considered the Member. The spouse was considered an Associate member. In 1977 the Park offered the spouse of the member an associate spouse magnetic card. As we know today, both husband and wife or joint co-owners can be members. In today’s standards the standard of not being equal would most likely not be appropriate. Today a membership does not have to be owned by a man and woman. Families on each side of joint memberships enjoy the Park. The Park has accommodated the needs of people over the years and as a result the population has grown. The Park is about recreation with family, having the experiences resulting in memories with families and friends. The Park is about family and friends, spending time together, and sharing time together. The population has extended to as many as 21 persons associated to a membership. The concept is correct in allowing families to be together. The extension of more does tax the Park on weekends and holidays and there is an expense of inviting more people. In the 1970’s only persons living in the household (immediate family) were considered members. Older children living outside the home were not considered as members. These older children did not have access, could not come and go, and the member/owner had to be present during their stay. The Park did change this and permit older children to utilize the park. These older children (associate members) were permitted to come to the Park any time and utilize the park without the member/owner being present. This permitted these older children with their families the opportunity to use Sandy Pines on weekends and for vacations. Use of the park increased as a result with some associate members staying for the summer. Only the Member/owner and the associate spouse of a member could have a magnetic card and access remote gate entrances in the beginning of the Park. When the Park did allow older children to become associate members access to the Park was at the Main Gate. These associates had paper membership cards. Traffic backups did occur. The extension permitting older associates access required a more efficient means to get these people into the Park. Magnetic membership cards were issued to associates to facilitate access. Through the years this has expanded to the member’s children, parents, and grandchildren accessing remote gates. Thus, use of the Park has increased substantially over the years. The Park has reviewed comments of associate members and associate members wishing to have guests. An article in the Sept 1988 Footprints addresses the desire of adult associates wishing to register guests. Comments of providing this privilege was never intended and the Park was already busy with the guests of the members. Litigation in court occurred in regards to an associate’s right to register guests and the court found that associates did not have this right. The privilege to have guests and responsibility of the conduct of guests has been that of the owner(s) of the membership. The Park has always held the owner of the membership responsible for the conduct of family members and their guests. This serves as two purposes. The Member/Owner serves as the person(s) to watch over, be responsible for and to invite persons as guests that have sound moral character and are trusted. The Member/owner is the person that is subject to the financial responsibilities. The Member/owner has a financial investment and personal property in Sandy Pines. The Member/owners of the Park have the financial burden to maintain the Park and its facilities. Persons other than the Member have little stake or responsibility financially. Persons other than the member have less thought for the care and wellbeing of the Park’s property and the personal property of others. Membership value is attached to the appearance and safety of the Park. At an early point in the Park’s history the admittance of guests was discontinued because of the expense. The signing in of guests was reinstated. A cost was not charged for guests. The Park did start charging a fee per car for guests. Presently the Park charges $4 per vehicle. This fee most is most likely not adequate to cover costs of staffing for guest entry, vehicles on our roads, guest using facilities, use of water, electric or a guest’s recreation. The Park has experienced stress upon our infrastructure. Water pressure has been an issue of the past, electric usage, and septic systems. As we expand Park usage we expand the use on our infrastructure and amenities. The expansion long term has a price in which the member/owner pays or experiences restriction amenities because of the population. The question now is shall we permit Associate members to bring in guests unregistered in their vehicle? As we extend access to additional persons at no fee, and unrestricted, the burden is placed on the Member/owners. It is quite common to hear the expression “we are being nickeled and dimed”. The reality is that membership dues are not adequate to pay for all the expenses of the Park. Other fees assume the costs to maintain and operate the Park. The larger concern is one of safety. The present system of member/owners using judgement of who they invite and want in the Park provides a great deal of oversight to the character of the person(s) invited and the intent in which the guest is here for. The Park is a miniature paradise and safe haven for many of its members. The Member/Owner has been responsible in the past to look over and invite guests. This is a filter of safety to determine who the member/owner trusts to be in the Park. The Park has had trust in the members/owners of who they choose and this system has worked. The safety of our members, and especially our youth is probably the most important factor in this Park. The responsibility lessens when others that do not have a direct investment or responsibility in the Park determine who enters the Park. Safety and care for facilities lessens the farther we branch out from the member/owner. In review of the question to permit associates to bring anyone into the Park, this filter would be lost. The privilege to invite guests has always been left to the member/owner. Membership ownership has its privilege. In this case it is the ability to determine who you want in the Park as a guest. The Park has required the Member to be present during the guests stay. The Park’s intention was to have someone be responsible for, and oversee the conduct of the person invited. This system works. In reality, the ability of the Park to know whether a member is present during a guests stay is nearly impossible. The event of a member not being present usually comes to light by a neighbor reporting that someone is staying at a site, concern that a site is being rented out, or an issue of conduct occurs in which Security investigates and finds that the member is not present. There is merit in requiring the member to be present during the guest stay. The Park has made it easy to register guests on line with web access. The guest registration of the past was to go to the security station and fill out a paper guest pass. This was a very inefficient system and time consuming for both staff and membership. This was also a time in which computers, networks and software were limited and/or not present. This was a time when dial up modems were used and the internet was a new term. This required the member to be onsite/property to register a guest. Fast forward to today when technology has provided more efficient means. The Park permits members to register guests on line presently. Members no longer have to be onsite to register guests. Abuse of guest registration occurs today with members sharing passwords and member account access. Members circumvent the rules to their own selfish needs. Amenities are shared to persons that have no direct relationship to Sandy Pines other than use of. The true intent of the Park and its amenities is for the members and their families. The Park has benefitted from Members inviting guests to the Park over the years. Friends and family of members would come to the Park, enjoy the Park and quite often purchase a place. The Park in the early years actually offered a membership for use of the amenities without the use of a campsite. Introduction to friends and family was, and is today, probably one of the biggest items that markets the Park. The Park had courtesy sites through Sales in which potential buyers would be offered a free weekend to camp. The Park has not always permitted persons from the public to camp at Sandy Pines. Years ago, Members would have to reserve a campsite for their guests. The only public camping (campers not associated with a Member) would be through sales. The intent then was to control who comes into the Park and if those persons did have poor conduct or cause damage, the Park had the Member to seek restitution from. The Park terms itself a Private Park. In today’s age we are still private but not as private as in the past. In the late 80’s the Park did have a Limited Associate membership that permitted Associate members to register guests. This practice, in the next season, was reversed. One of the distinctions between being a Member/Owner and an Associate member of a site is the privilege and right to register or bring in guests. In reality, the Member/owner is the person that has an investment in the Park, paying for this privilege and with sound and mature decision, decides who he/she trusts to be in the Park. The past Board members and committees representing the membership in various capacities wanted control of who could register guests for access or bring into the Park. The Park looked to the Member/Owner of a site to make the judgement of inviting the correct caliber or person of good standing into the Park. In our meeting we discussed the idea of extending access to others by permitting associate members to bring guests into the Park in their vehicles. It was indicated that this is one of the major items spoken about during elections. Some committee members had personal experiences of receiving a violation related to an associate member bringing in a guest that was not registered. Although the Park has had rules pertaining to guests for 47 years, members still are not aware of what the Park’s rules are, and some find the rules to be confusing. Maybe the confusing term is member in the rule “the guest may enter as a passenger in the member’s vehicle”. The interpretation and definition of member is intended to mean Member/owner not other memberships such as associate or grandchild. Enforcement of who is entering the Park in vehicles is nearly impossible with multiple unmanned access gates. Peak times of holidays and weekends can have up to 15 vehicles per minute entering the various gates. Verification of occupants in vehicles can only be done by comparing membership card information to who is in the vehicle. Looking at the problem, is it the issue of the associate bringing in the guest, or is the issue the conduct of the guest once inside the Park? Can the Park really track all the people that come into the Park? Members register the drivers of vehicles entering the park. The Park does not have all the names of the occupants. Do associate members bring in significant others, fiancé’s, or friends? The answer is most likely yes. Are these people registered as guests? Some are. Does the member know that the associate is bringing out the guest? In many cases the member does. In the cases of inappropriate conduct by the associate and guests in the Park, members most likely do not. Are the memberships held accountable for misconduct by associate members and guests? Yes. We have a good, moral population of families, members, and associate members within the Park. Members themselves know their children and place trust in them when they issue a membership to an associate to have access into the Park. In many cases members know and approve of people coming to visit with the associate member. Then, we have the 1% of associates with guests that we fixate upon that come to the park, usually when the member is not present, and display poor judgement, poor conduct and inappropriate behavior. Members/Owners of the memberships are in most cases very responsible, good people. Inappropriate behavior by a few, place risk upon the safety of others, and the property of others. If we permit associates to bring guests in their vehicles unregistered, will the population increase within the Park and will more problems occur? Most likely the population will increase. Most likely more issues will occur without the presence and oversight of the Member/Owner. Will our facilities become overcrowded? Most likely – some are already overcrowded. Our first responsibility is to our member/owners. We already have members with complaints about increasing costs, not enough pools, not enough parking, the waterpark being full and waiting in line at the ropes courses. Over the past 47 years, we have extended the membership from the immediate family to associates with their families and then to include grandchildren and their families, as well as joint memberships with his and her families, and then a few designated associates. Extending this population further extends the population of the Park without anyway to cover the additional costs. Extending access to persons other than our family (associates) increases the risk and reduces safety to persons within the Park. We are a gated community. We are gated to provide safety and security from those persons outside the gates. The safety of persons within this gated community is reduced when allowances are made to permit other than the member/owner to invite or bring in others. Many variances and situations exist among associate members in relation to their circumstance. Possibly too many to accommodate and still have control of access. The Park rules over the years have only permitted the member/owner the ability to invite and bring in guests. In the history of the Park, the intent has always been that member/owners of memberships have the privilege of inviting guests. I am in agreement and thank all of you for your considerations and reviewing the issue.